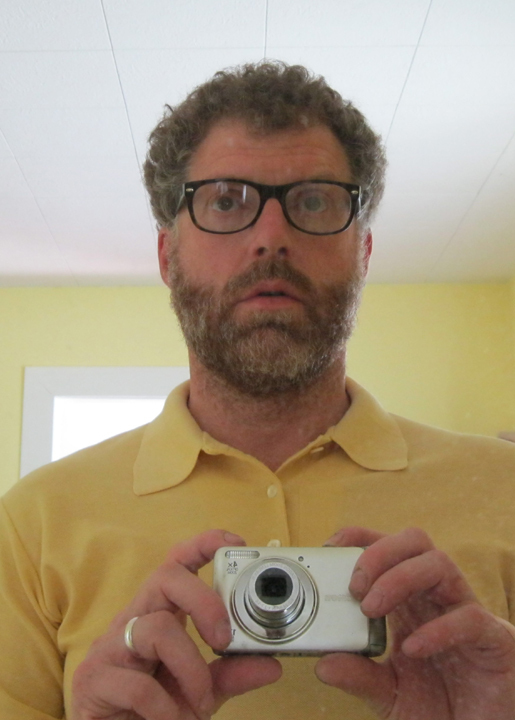 David Hamlow holds a BA in studio art from Gustavus Adolphus College and an MFA in Painting and Drawing from the University of Minnesota. He has received two Minnesota State Arts Board Grants and shows work regionally, nationally and internationally. 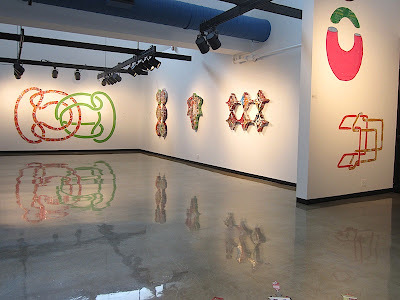 Recent exhibitions include Cashing Out at the Kala Institute, Berkley CA, Hedge Magic at the Soap Factory in Minneapolis, and You Complete Me with Liz Miller at the HFA Gallery, University of Minnesota, Morris. 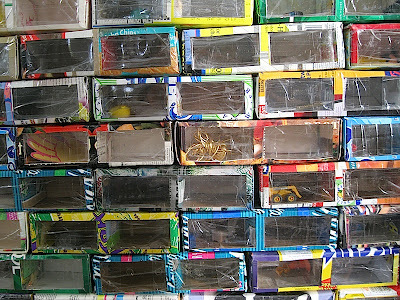 Conserved cardboard, plastic and detritus. 2012. 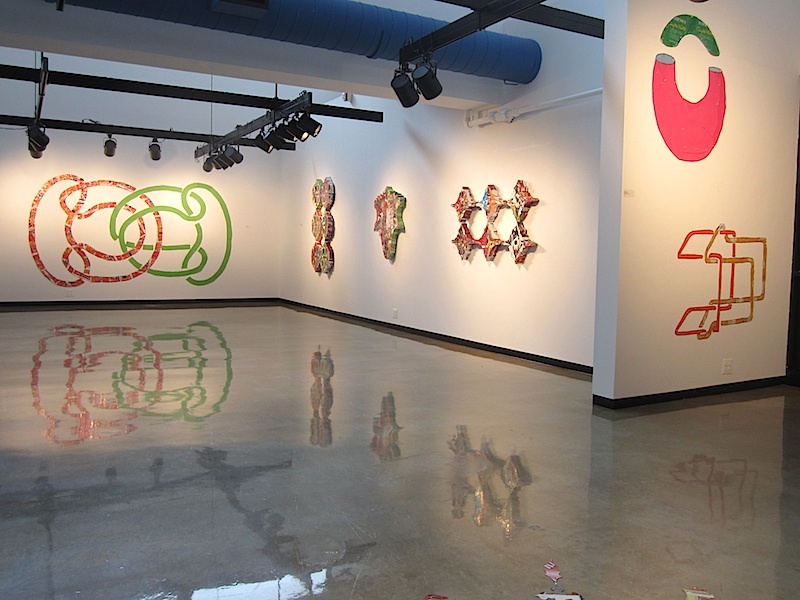 I just finished installing a two-person show at the University of Minnesota Morris with my wife, installation artist Liz Miller. We share a studio, and for this show we exchanged scraps from each other’s works and used them as a point of departure for new pieces. 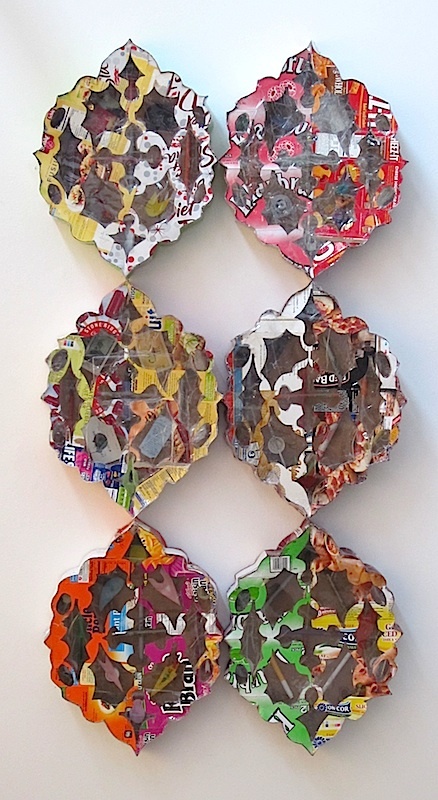 I often work with conserved packaging from my own purchases,transforming it into modular geometric sculptures. These new pieces were influenced by Liz’s shapes--which are based in pattern and symmetry--so they ended up being much more ornate than my past work. 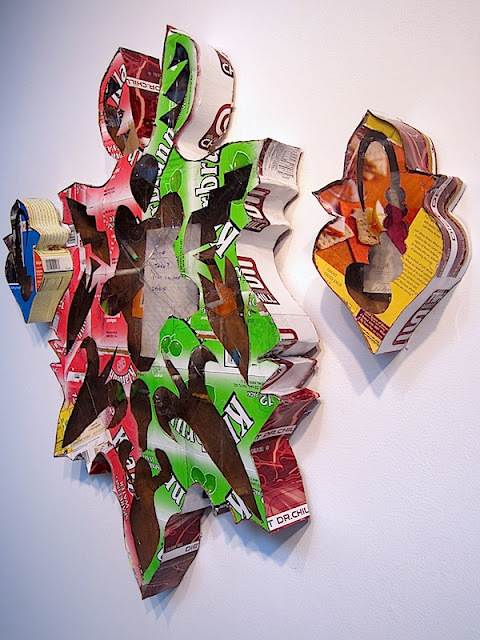 They were also heavily influenced by Christian reliquaries I encountered on our recent trip to Italy so although these pieces are very three dimensional and sculptural, they are wall based—almost like shadow boxes. I couldn’t do anything else! When I was young I considered being a lawyer and an actor, but at some point I realized I was more interested in tweed jackets and horn-rimmed glasses than I was in research and argument, in other words I wanted to be an actor playing a lawyer. I was in theater at Gustavus Adolphus with Peter Krause (of 6 Feet Under) and Steve Zahn (of Treme) so I am grateful to their work for providing me the perspective that I wasn’t really committed to acting. Visual Art is something I always remembered doing and being interested in. It is the only thing I received affirmation for that, even when I was not affirmed, I was still driven to do. Apply for everything. This is really a field where you need to create your own opportunities by making yourself available for anything that might get offered: shows, funding, jobs, collaborations. I try to have at least five things out in the mail at any given time, so that when one rejection comes in I just focus my attention of the next thing. Some might argue that this is not really about the work (some might even call it selling out) but the other advice I find key is: stay interested in your own work! If you are not personally engaged in and intensely curious about what you are making you won’t keep going. The rest is there to make sure you have the resources to pursue your work. My work is conceptually driven by an anti-market idea. I give away the separate modules from each piece in exchange for an act of collaboration from the people who take the pieces. 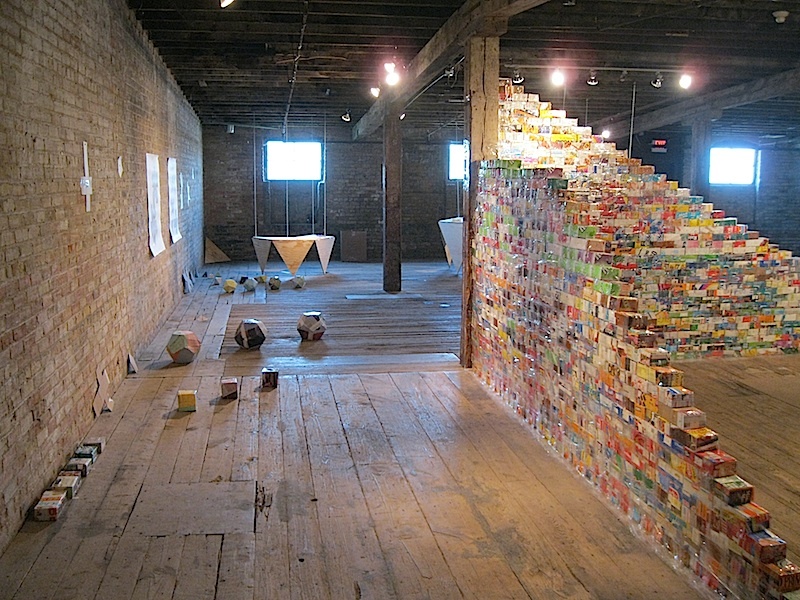 For example, I have a work called ‘Archival Structure 5’ that is comprised of hundreds of brick-shaped boxes. 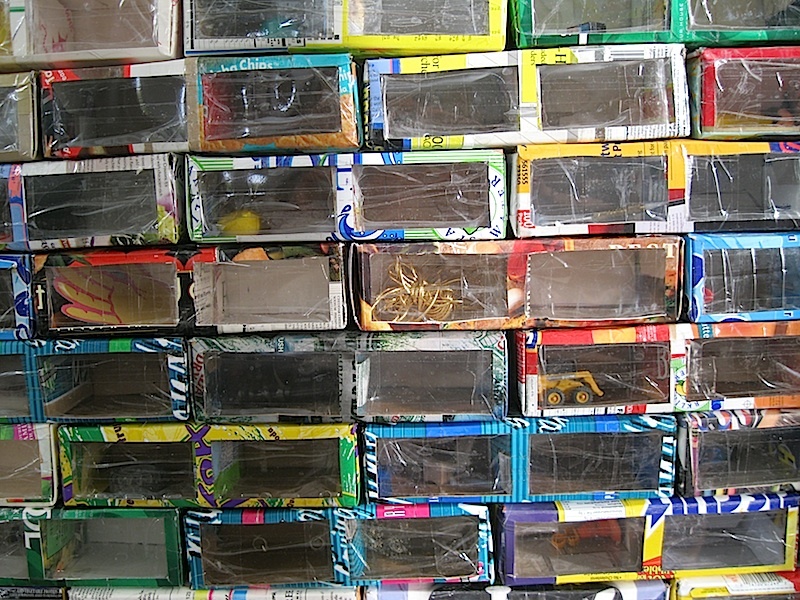 Each box is a small display case, with windows that show an item I put in the box and another added by the person who ‘adopted’ the box. I think of these people who participate as both conservators of and collaborators in my work. 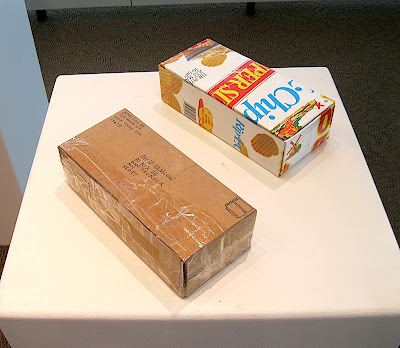 The boxes were designed so as to be completely reversible, making it possible to send them back and forth in the mail for just a couple of dollars. I am interested in ways of owning and distributing work that fall outside of the usual models of galleries and museum collection, and the patrons who fund and ultimately what work is shown. For this reason I rely heavily on teaching, grants and funded exhibitions to keep my work going. Exhibitions, of course, often place the work into that formal art world, but it also gives me the opportunity to insert my ideas about art and commerce into that world and expose the audience to a different way of thinking about the value of art and artworks. Anyone who wants to collaborate on a project can check for opportunities under the ‘collaborate’ tab on my site. 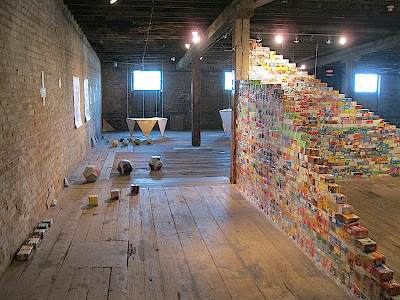 I am still making a ton of bricks for ‘Archival Structure 5’, and will be showing them as part of As I See Myself: The Creative Self Portrait at the Waseca Art Center, January 4th through February 9th, 2013.